Ryan's Smashing Life: It came from THE MIST - a tribute to Stephen King's latest movie! It came from THE MIST - a tribute to Stephen King's latest movie! 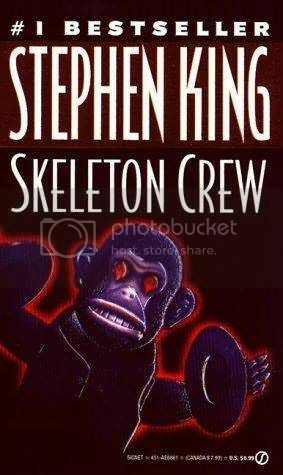 I was just a boy when Stephen King released the now famous Monkey Shines short story collection. If my memory serves me well I asked a babysitter at least a dozen times to read of her copy. Eventually I got my paws on the book. I ended up reading it front to back but only clearly remember reading one short story - It was called, "The Mist." And it was one of the down-to-earth yet scariest tale I had read. It was a story about irrational fear and human tendencies - you only got glancing descriptions of the monsters outside in the supernatural fog. It was too much for a little kid to read, so I read it twice. Twenty-Seven years later the story has been adapted into a brand new movie, set to be released on November 21st. The story is the same - but these modern times can finally support the special effects necessary to make the movie! Supernatural ethereal blindness, fear and death are outside. Those inside are trapped - with each other. "There's Something In the Mist! Shut the Doors! Shut the Doors!"